There are so many reasons to invest in the Swan Hill region. 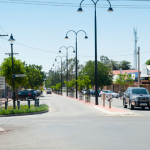 Swan Hill Rural City Council encourages investment in the region by offering the best possible experience for start-ups and expanding businesses. Contact us to discuss the opportunities for you and your business in the Swan Hill region.